Call Now for Funeral Services! Looking for a Funeral Plan? Contact Us Today! Gray Mortuary has been family-owned and -operated for over 84 years. Whether you need Embalming and burial services or are looking for assistance in the cremation process, we are here to help. Our staff is full of dedicated and honest employees, who are happy to serve residents of Greenville and the surrounding areas. We know this is a difficult time, so we always seek to treat you with compassion and understanding. Trust our team to uplift the dignity of your deceased loved one, and let us honor your family with respect and grace. Originally established in the early 20th century as the Welborn Funeral Home, Walter L. Welborn started offering his services in the back of Welborn Furniture Company. Samuel Lee Gray, an embalmer and funeral director from Alabama, purchased the company in 1934. He then changed our name to Gray Mortuary, Inc. We moved to Main Street soon after, and in 1952, we opened the doors of our current location. Gray Mortuary understands that many people are not properly prepared to make arrangements after a loved one passes. Our goal is to help you with these preparations. Often times, an enriching service is a great way to help friends and family move through the mourning process. 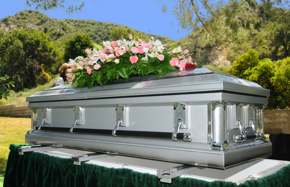 If you are looking for an experienced and trusted funeral director, call us now at (864) 625-0176 for assistance. Copyright © 2018 graymortuary.net All rights reserved.